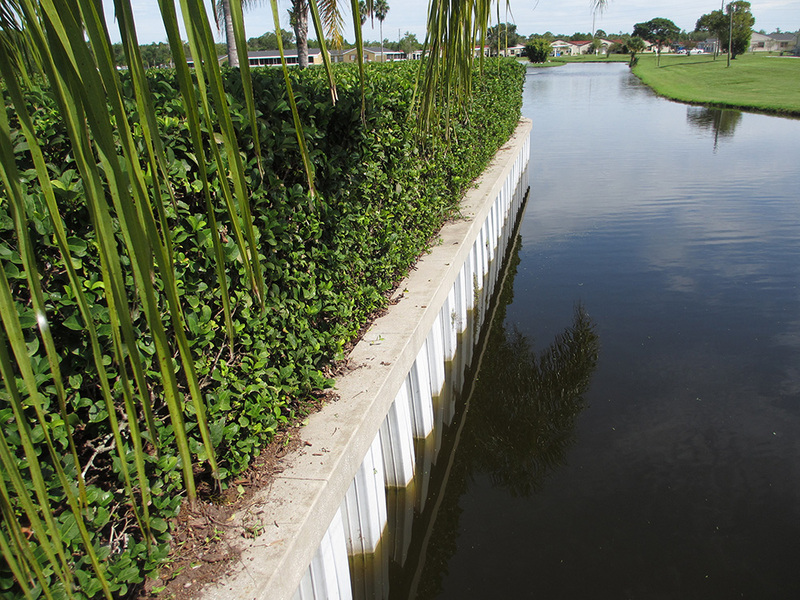 Seawall Contractors - Seawalls prevent the erosion of a shoreline located near a body of water. They also deflect the energy of the sea and push it back towards the water. So the force from the sea is not capable of harming the surrounding properties. If you own or live on a property by one of the lakes in Orlando, Florida. Then protecting your structure from the surrounding water may seem like an overwhelming task. But we can build a seawall to ensure that your property is not subject to damage. 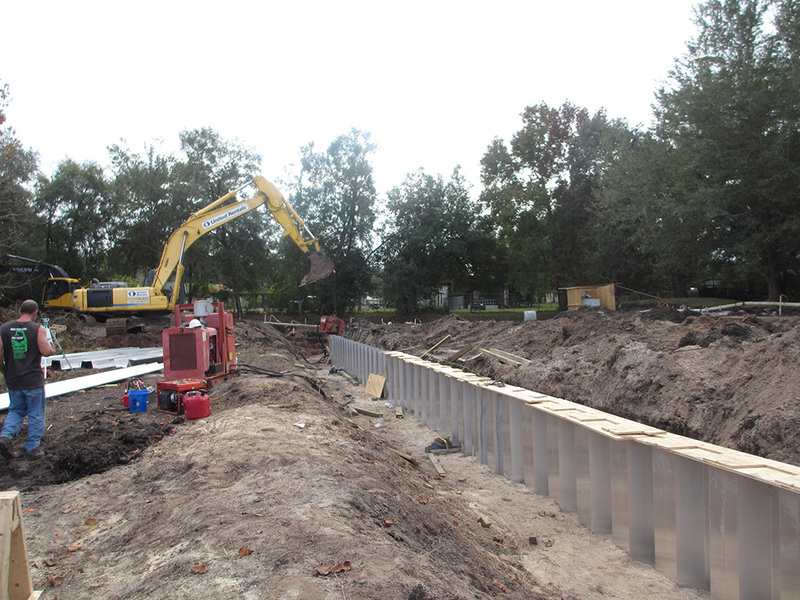 As the leading provider of seawall construction services in the Orlando area, we guarantee that working with us will be beneficial for you and your property. 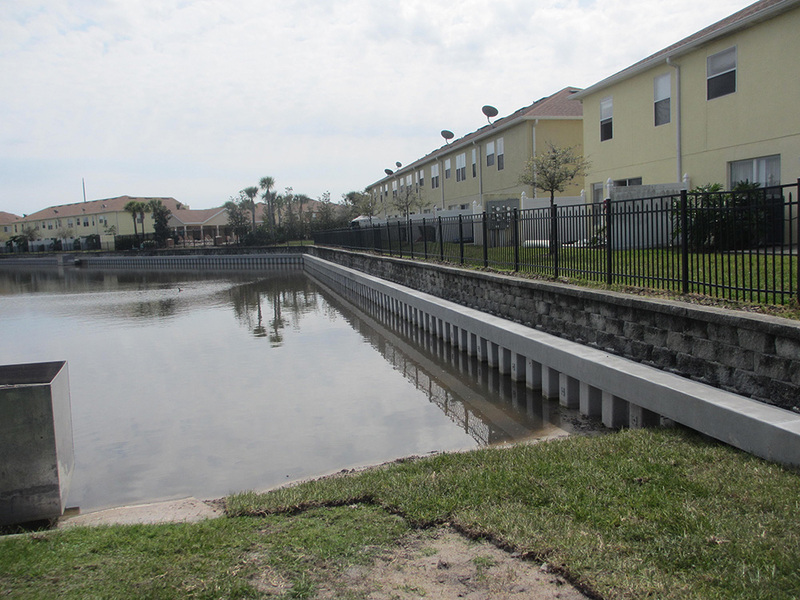 We build basic seawalls all over Orlando, Florida and the surrounding areas. As a Florida State Certified Marine Contractor, we specialize in building the best seawalls for the least amount of money. If you want steel, aluminium, concrete, masonry (MSE), or fiberglass seawalls, we are the best marine construction company for the job. We also build mechanically stabilized earthen walls, such as Keystone and Anchor walls. We realize that not every piece of property or shore front location in Orlando is the same as the one next door. Because of this, we can build a custom seawall for your property if it has unique characteristics or you have specific requirements. As experienced marine contractors, we have the knowledge required to build custom seawalls that are capable of deflecting water and energy away from your property and performing this function for many years to come. Contact us to learn how a seawall could benefit your shorefront property, increase its value and ensure it's protected. 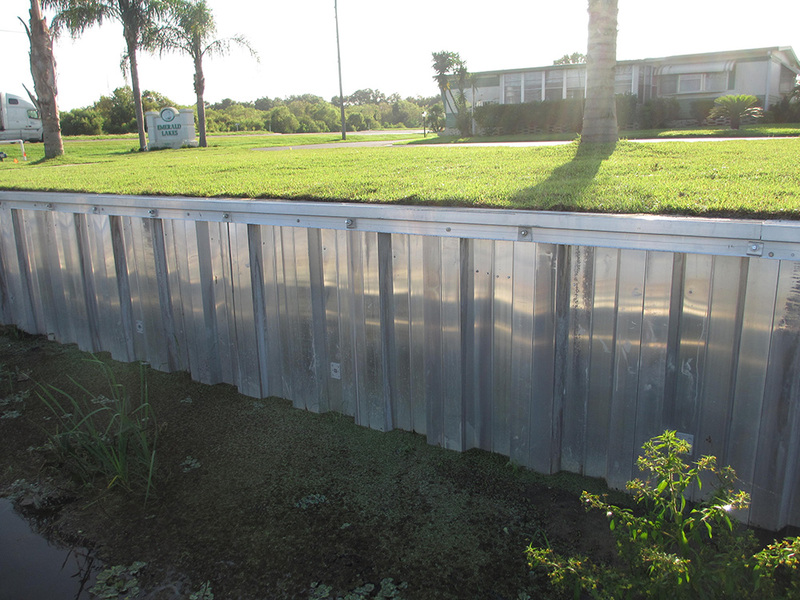 We also provide quality seawall repair services in Orlando and the surrounding areas! Work with Fender Marine Construction on your next commercial seawall construction. We take pride in providing the latest seawall technology that will give your business a boost in its appeal. When it comes to seawall construction, we work hand in hand with our customers to ensure 100% satisfaction. From design, to planning and designing, we will be with you every step of the way. If there are municipal inspections inspections needed, we will also take care of that for you. Fender Marine Construction has been trusted by customers all over Central Florida for over a decade. With our combined experience, our team has all the qualifications you need to get a project complete. Our company specializes in custom designs, new seawall construction, maintenance and repair. Below are some examples of our commercial seawall construction. Don’t hesitate in giving us a call for a quote or questions. Shoreline erosion is one of the reasons why those with waterfront properties invest in a seawall. Fender Marine Construction has been specializing in seawall construction for years. From the beginning of the process they assess your needs as a customer and then merge that with what is needed to protect the property. The most requested seawall material is steel but others include vinyl and rock seawalls. Fender Marine Construction has the experience you need for your residential seawall construction. Our company specializes in custom residential designs, new construction, maintenance and repair. Below are some examples of our residential seawall construction. Don’t hesitate in giving us a call for a quote or questions.